There are some sports that are known to have a significant risk of injury, such as skiing or rock climbing. Under the tort law theory of inherent risk, people who voluntarily engage in these sports cannot hold anyone else accountable for injuries caused by the sport itself unless the negligence rises to a certain level. In other words, if you go skiing and break your leg, unless the owners of the ski resort were extremely negligent, you will probably not be able to sue them for damages. Without this heightened negligence standard for inherent risk, no ski resorts could operate because the costs would be prohibitive. In a procedurally complicated opinion, the Michigan Court of Appeals attempted to clarify whether the “parked vehicle exception” applied to injury during maintenance of the vehicle. In order to collect damages from an automobile insurer, the vehicle must be involved in the injury. This may seem straightforward and obvious, but as often happens with the law, it is not. Michigan law appears to hold that auto insurers do not have to pay for injuries when the vehicle is parked. However, the law also seems to say that insurance will cover injuries that occur during vehicle maintenance. This case looks at these potentially contradictory aspects of the law and discusses how the law should be applied in the instant case and cases with similar facts. While a case may seem simple at first, that is not always the reality. That is why if you are injured in any kind of accident, you should consult an experienced Michigan personal injury attorney as soon as possible. They can help frame and guide your case in a way that leads to the best results. Both parties agreed on the basic facts of the case. A woman was using the vehicle provided by her employer. She stopped at a self-serve carwash to wash it, and as she was washing it she slipped and fell on ice. No one knows whether the ice was created by the water she was using to wash the vehicle, or if it was already on the ground. She attempted to recover damages from the insurer her employer used. It refused to pay for the injuries. The insurance company argued that the case should be dismissed because the injury just happened to occur near the employer’s car and the law excepts insurers from being responsible for accidents when the car is parked. Conversely, the injured party argued that since her injuries occurred during the maintenance of the car, under statutory and case law she is still entitled to payment from the insurance company. The insurance company moved for summary judgment, which would dismiss the case. The court found for the plaintiff and allowed the case to continue for the reasons explained below. The defendant appealed from a judgment entered after a jury verdict in a Michigan premises liability action. The Michigan Court of Appeals affirmed the trial judge’s denial of the defendant’s motion for judgment notwithstanding the verdict. The appeals court also affirmed the trial judge’s denial of the defendant’s motion for a new trial as to damages with the exception of those based upon past and future medical expenses.While shopping at the defendant’s store, the plaintiff asked for assistance with some folding metal chairs that were located on a top shelf. An employee attempted to manipulate that stack of chairs, and they fell from the top shelf onto the plaintiff’s head. The plaintiff sued the defendant’s corporation, which, though it contested fault, did not contest that if the jury found its employee at fault, it would be liable under respondeat superior. On appeal, the defendant first contended that the trial court erred by denying its motion for a directed verdict, in which it claimed that it had no duty to the plaintiff, based on the open and obvious danger doctrine. The appeals court agreed with the trial court that this motion was properly denied on both procedural and substantive grounds. The appeals court concluded that the defendant waived any claim that the action did not sound in negligence. Early in the case, the trial court issued an order providing that once a formal Joint Final Pretrial Order (JFPO) is filed, it supersedes previous pleadings and orders and controls the trial proceedings. It further provided that the JFPO shall contain a concise statement of a defendant’s defenses and cross-claims, including legal theories. A JFPO was presented to the court by the parties and entered as an order. Under the heading “Defendant’s Claims,” the defendant listed multiple defenses but included no reference to premises liability or a defense that the plaintiff’s injury was caused by an open and obvious condition. Given the court’s pre-trial orders and the JFPO to which defense counsel stipulated, the defendant waived this argument. A defendant appealed an August 17, 2016 order denying his motion for summary disposition in an action arising out of injuries sustained by the plaintiff when he was riding his motorcycle, and a gas main exploded. The Michigan Court of Appeals reversed and remanded the Michigan motorcycle accident case for the entry of an order awarding summary disposition in favor of the defendant.On appeal, the defendant argued that the trial court erred in denying his motion for summary disposition, arguing that the plaintiff’s claim was barred by governmental immunity under the Governmental Tort Liability Act (GTLA), and there was no question of fact regarding whether he acted in a grossly negligent manner. Except under certain circumstances, the GTLA provides immunity to governmental employees from tort liability. For tort claims involving alleged negligence, lower-level governmental employees such as the defendant are entitled to immunity if the following three criteria are met: (1) they are acting or reasonably believe they are acting within the scope of their authority, (2) they are engaged in the exercise or discharge of a governmental function, and (3) their conduct does not amount to gross negligence that is the proximate cause of the injury or damage. In this case, the plaintiff did not dispute that the defendant was acting within the scope of his authority, or that the defendant was engaged in the exercise or discharge of a government function. The central issue before the appeals court therefore was whether there was a question of fact regarding whether the defendant’s conduct amounted to gross negligence. Gross negligence is defined by the GTLA as conduct reckless enough to demonstrate a substantial lack of concern for whether an injury results. Simply alleging that an actor could have done more is insufficient, since a claim can always be made that extra precautions could have influenced the result. Instead, gross negligence suggests almost a willful disregard of precautions to attend to safety and a disregard for substantial risks. It is as though, if an observer watched the actor, he could reasonably conclude that the actor did not care about the safety of those in his charge. The determination of whether a governmental employee’s conduct constituted gross negligence that proximately caused the complained-of injury under the GTLA is generally a question of fact, but, if reasonable minds could not differ, a court may grant summary disposition. A Michigan man has filed suit against an Atlanta-based hip-hop duo for hitting his nose with a water bottle during a show. Court documents signify that the plaintiff–who has not been identified–attended a show in October 2016, at which the rappers recklessly launched full water bottles into the audience. One hit the plaintiff directly in the face, allegedly leaving him with a migraine and permanent scarring.The plaintiff claimed the water bottle was catapulted forcefully enough to rip off a “chunk of his face.” He was sent via ambulance to the hospital, where they determined that he would be permanently disfigured and scarred. He filed suit for assault, battery, and negligence. He is seeking damages for medical fees, as well as punitive damages. This isn’t the only lawsuit of its kind. Also this month, one of Katy Perry’s stagehands claimed she lost a toe while working on Perry’s tour. Christina Fish was hired for Perry’s 2014 international tour. At a North Carolina show, a wall Fish was asked to move got stuck and rolled over her foot. Her toe allegedly became gangrenous and eventually needed to be amputated. Fish is suing Perry, Live Nation, and several production companies for damages. The appeals court explained that the defendant discharged their initial summary-judgment burden of showing that the accident was not the proximate cause of the plaintiff’s spinal issues. First, it was undisputed that the plaintiff experienced neck and back issues prior to the accident. Second, her post-accident care supported the defendant’s causation position. She did not seek medical attention immediately following the accident, but she did go to the emergency room with neck, thoracic spine, and lumbar spine pain on the following evening. But she also refused pain medication at this time, and the ER doctor noted that while she had some neck tenderness, she had a normal range of motion in her back and musculoskeletal system. Third, the defendant’s experts concluded that the plaintiff’s spinal issues were not caused by the accident. The Michigan Supreme Court recently reversed a decision from the Michigan Court of Appeals, holding the appeals court misapplied proximate cause law in determining whether the defendant proximately caused the plaintiff’s injuries. In the fall of 2011, the then-13-year-old plaintiff was a member of the Chelsea High School cross-country team. Shortly after the season began, the coach held an early morning practice; it was the plaintiff’s first morning practice as a member of the team. The practice began at 5:59 a.m., when it was still dark outside. At the beginning of practice, the coach took the team off school grounds to run. During the run, the team approached an intersection with a two-lane highway. The “Do Not Walk” symbol was illuminated because the traffic light was green for the highway traffic. The coach and the group of runners with him stopped at the intersection. He saw a vehicle in the distance, but he determined that it was far enough away to safely cross. He instructed the runners to cross the intersection by stating, “Let’s go.” It was unclear whether all of the team members heard the instruction. Although most of the team safely crossed the road, a few runners in the back of the group were still in or near the roadway when the vehicle entered the intersection. The vehicle hit the plaintiff and one of his teammates as they were crossing the road. The plaintiff was severely injured, and he has no memory of the accident. The plaintiffs, the victim and his parents, sued the coach and the driver. The coach moved for summary disposition under MCR 2.116(C)(7), asserting governmental immunity pursuant to the government tort liability act (GTLA). He also moved for summary disposition under MCR 2.116(C)(8) and (10). The trial court denied the defendant’s motion, stating that whether the defendant’s actions were grossly negligent and whether his actions were the proximate cause of the plaintiff’s injuries were questions of fact for the jury to decide. The defendant appealed, and the court of appeals reversed. The panel concluded that any factual disputes were not material because reasonable minds could not conclude that the defendant was the proximate cause of the plaintiff’s injuries. The panel determined that the presence of the driver in the roadway and the plaintiff’s own actions were more immediate and direct causes of the plaintiff’s injuries and held that the most proximate cause of the plaintiff’s injuries was the fact that he was struck by a moving vehicle. A defendant appealed from the order of the trial court denying her motion for summary disposition under MCR 2.116(C)(7) (governmental immunity). The Michigan Court of Appeals affirmed the lower court’s judgment, holding that the plaintiff presented sufficient evidence to create a genuine issue of material fact on the elements of both gross negligence and proximate cause.The plaintiff brought suit after she sustained severe injuries to her hand while operating a table saw during a woodshop class that the defendant taught at Lakeville High School. She alleged that her injuries were caused by the defendant’s actions in removing a blade guard from the table saw, encouraging students to operate the table saw without the blade guard, and on the day of her injury, specifically directing the plaintiff to make a cut on the table saw that she had never before attempted without any supervision and without the presence of the blade guard. A plaintiff appealed the trial court’s order granting the defendant’s motion for summary disposition under MCR 2.116(C)(10). Holding that there was a genuine issue of material fact as to whether the plaintiff was more than 50 percent at fault for the accident, the Michigan appeals court reversed and remanded.At around 9:15 p.m. on November 2, 2013, the plaintiff was walking home from the Applebee’s restaurant where he worked. He testified that he was walking northbound on Monroe Street, while the defendant was driving northbound on Monroe Street, talking on his cell phone with his girlfriend. The defendant’s vehicle struck the plaintiff near the intersection of Monroe Street and LaSalle Road, severely injuring him. A public park patron filed suit after being struck by a rock thrown from a passing lawnmower. The Michigan appeals court reversed the circuit court’s denial of the defendants’ motion for summary disposition, concluding the patron made no allegation rising to the level necessary to prevent the defendants’ use of governmental immunity.On May 20, 2013, the plaintiff visited Williams Island beach with her family. They sat at a picnic table. Approximately 30 minutes later, a Yates Township maintenance crew arrived. A Yates Township employee was tasked with cutting the grass using a riding lawnmower. 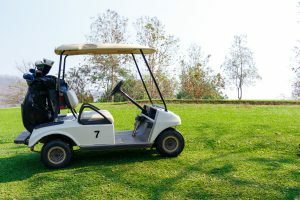 The plaintiff asserted that on his first pass, the employee drove the power mower within 10 feet of the picnic table, causing dust and debris to be thrown into the air. As a result, the plaintiff and her family decided to leave. The plaintiff alleged that before they could retreat, the employee drove by again within a few yards. A rock shot out from the mower and struck the plaintiff between the eyes on the forehead. She suffered a fracture to the left nasal bone as well as swelling and bruising around her eyes and nose.